This year’s game of the year in Germany has been announced today. 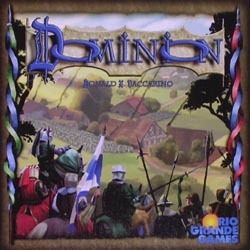 In a bit of a surprise (to me, at least), the jury decided to give the award to Dominion, designed by Donald X Vaccarino and published by Hans-im-Gluck in Germany and Rio Grande in the UK. Surprised, but pleasantly so, as I expected it to go to Fits – a much more family friendly game with a theme (Tetris) that is pretty well known. However, they picked a bit more of a gamers’ game (even though it is still very accessible) and my favouriteÂ of the nominated games. Many congratulations to Donald, Jay Tummelson of Rio Grande Games, and the developers Dale Yu and Valerie Putman. For those who play games in and around Bolton, their game group GNOME (Gamers North Of Manchester, England) has a new website. 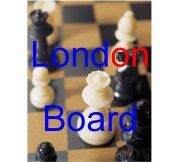 It’s still in its infancy (the site rather than the GNOMEs) and anyone who has any ideas about (or talent in) tarting up the site should get in touch with Chris by email: contact AT boltonboardgamesÂ DOTÂ orgÂ DOT uk. No real surprises there although I thought Stone Age might have been in with a chance. (I voted for Dominion, Stone Age and Powerboats). Congratulations to the designers and publishers of three really good games from last year. As I spent the last two nights in London, I managed to get to one of the regular sessions of the London On Board gaming club. First time I’ve managed it, won’t be the last I’m sure. Good venue at the Red Herring pub in Gresham Street, even more so as it’s only a few minutes walk from where I usually stay around St. Pauls. 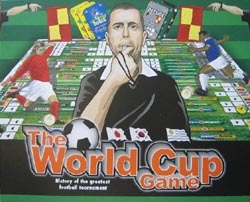 They tend to get 30 – 40 players each week and a good variety of games were available to play. There were a few playing Memoir ’44, some playing Steam, Automobile was definitely present and some lighter games as well – the Automobile players went on to play Meuterer, which I was jealous not to get to play as it is on my unplayed list. However, I managed to get in three games in under three hours: Fits, which after 5 plays, still remains a very entertaining puzzle game; a three player Small World, where I got pipped at the post by a come-from a looong way behind win by Michael; and China, which I’ve not played before in that incarnation. I quite liked the omission of the intermediate scoring round present in Kardinal & Konig / Web of Power. However, it played enough like the earlier version that I knew what I was doing much more than my opponents and cruised to a comfortable win. Many thanks to everyone I played with and to Paul Lister, one of the organisers who gave me that extra kick to make the effort to go along. I’m very glad I did and, when Paul is in the Shrewsbury area next, he must get in touch to come along to one of our sessions. “Antoine Bauza and I always liked race games, even when they were not in fashion. They’re doing their comeback now, so we’ve made our – Pony Express. 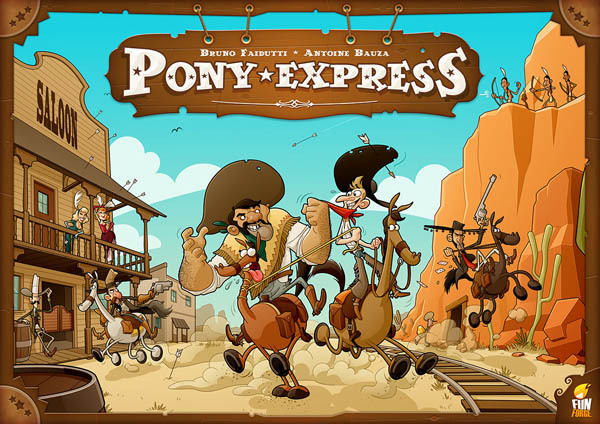 In this game, you must prove that you are the fastest rider of the Pony Express, from St Joseph to Sacramento. It’s a race, with dice, but special dice with which you can bluff and even shoot at opponents’ pawns. Shaun Derrick, the designer and publisher of The World Cup Game, is seeking views on whether there would be any interest in a Rugby version of the game. He suggests that there may be a fair bit of interest in certain countries where Rugby is more popular than Football. That may be true but, unless there is something in the gameplay that makes it play differently from the existing game, he is unlikely to generate any additional interest from those people who already own the original. You can comment on this at this geeklist. Unplayed games – 120 to go! not buying more new games than I’m ticking off my unplayed list. So, starting now, I’m going to track how I’m getting on with reducing the 120 and at the start of each month confess what the new total is. Let’s say, my aim is to reach 20 unplayed by the end of June 2010 and I buy 20 new games over the next year , that means I need to tick off 10 a month either by playing or selling. Will I make it? Bets are currently being taken. Author Garry LloydPosted on 14th June 2009 14th June 2009 Categories SnippetsLeave a comment on Unplayed games – 120 to go! Eight of my ten nominees got through to the final (Chicago Express, Diamonds Club, Dominion, Le Havre, Pandemic, Powerboats, Snow Tails and Stone Age). The two that didn’t (Burgenland and Kamisado) don’t surprise me as they won’t have been as widely played as others and are strictly two player games. In the final voting, the three games that poll the highest will be crowned as the winners. “The BoardGameGeek Game (TBGGG) is being published by R&D Games to celebrate the tenth anniversary of the BoardGameGeek website, the gaming communityâ€™s most indispensible database! Firstly, players represent one of the six game publishers: Eggertspiele, Hans im GlÃ¼ck, Queen, R&D, Treefrog or Ystari, supplying their companyâ€™s games to the games shops of Boardway. Geek Gold (GG) is earned for each game they sell. Secondly, each player has a team of three â€˜diceyâ€™ geeks who are trying to collect sets of games to meet their gaming groupâ€™s requirements. At the end of the game GG is awarded to record the playerâ€™s success in acquiring these games. The player accumulating the most GG is the winner. Richard Breese’s games are always well thought out and I can’t recall one I’ve not enjoyed so I’m looking forward to this. The box also is supposed to feature a number of BGG members’ avatars so watch out for mine, if I’m lucky enough to haveÂ it selected. The two games I know, Snow Tails and Kamisado, are both excellent and worthy winners in their category. The winner in the card game category, Fzzzt!, I saw but didn’t get to play but looks quite interesting. I notice Steve played it a couple of times so he might comment on what he thought. Congrats to all the winners, especially Richard Breese, Gordon and Fraser Lamont.